This is very similar to that child’s toy! May not look like much, but has secret possibilities. I love to play. Seems I still have that child-like wonder of fun at some of the simplest of things. 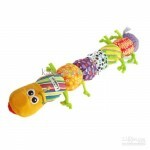 Like, amazment still happens for me at how intricate children’s toys can be. I don’t have any kids of my own. I met with a Nova Scotia friend and her new baby in London for a coffee. Her daughters’ toy is quite a fascination for me. Maybe not for as long as for a child, but still enough to hold my attention at what is could do. I love the fact that I can do Plays now and that child-like quality and curiosity is a vital part of what I do. Whether that is in a play, TV, film, opera, musical, or whatever, curiosity rules. But, I’m learning, that it’s not all play when it comes to the structure or hierarchy of, dare I say, ‘best business practices’. This is where I wish to concentrate this week’s blog post on. May be you’ll be able to learn, what I learned after many years. There can be blurred lines of ‘best business practice’ in the roles of who does what and why. It’s Scott Williams at the Impulse Theatre who brought clarity for the roles in a production to me, so here goes! Now, this is the director’s role, not your fellow performer. In this situation, best thing to do is suggest they go to the director, not you. Let the director work it out. Well, because they can actually see what’s going on. A performer can only see what they see. The director might want what is actually happening to happen, so let them do their job. Now, this one is a lot like the previous one, only about the music. What do you do when the Music Director and the Director have contrary message? Here’s a situtation I’ve encountered a lot! What I have done is to encourage the directors to talk it out. It’s not my problem to fix, so kindly and politely ask them to talk it through. If they don’t, you may need to arrange the situation where all 3 of you are together and raise it. This is a very important person. Especially when you get into production. They can seem like the scariest, as they tend to shout more than speak. Their role is very high pressured one. Not only are they managing you to get on stage on time, they manage lighting, musicians, performers, sets and queues. So this is a person you never wish to piss-off! Even if they are the grumpiest sod on earth. Do your best to follow everything they ask of you. Because if something goes wrong, they are the person you will need to turn to. Once the rehearsals are over, opening night has started, and the director is gone, the stage manager takes over. They are there to ensure that what the director wants is still happening after 50 shows. So they are your main support in times of trouble. Especiall, when things get a bit ‘loose’ because the show has been running for a while. 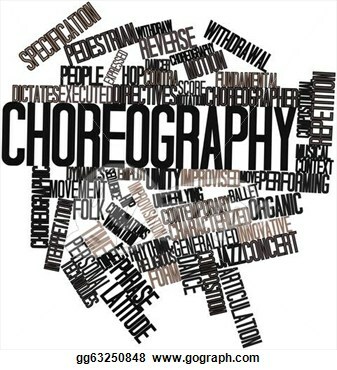 For example, another performer changes something without any authority from the director or the stage manager. They will be your best person to ask about what really is staged. In all intense purposes they become the voice of the director. If the director happens to drop by, during the run, they are likely the one giving notes from the director. 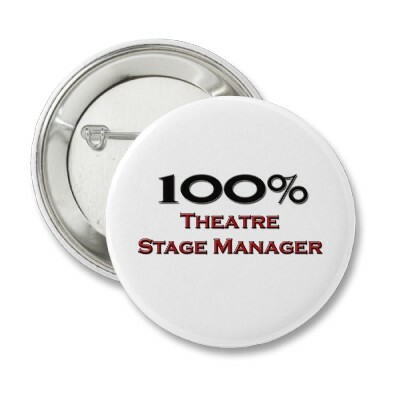 So, to help you get on the side of the stage manager, show up to everything on time. If you can’t make sure you have their phone number – let them know ASAP why you aren’t there. Do not argue or have a bad attitude towards them, even when they may be surly to you. As I said, most likely they are dealing with a lot of issues at once. They don’t have the time to always be polite and nice. If you are having problems with anything on stage or even off, talk to them, they are your 1st port of call for help. That’s when they are your guardian angel and any previous grumpiness is forgotten. Always say thank you to them! One big piece of advice for all these 3 main roles in a production is use them. Talk to them, they are there to help you sort any problems. So often I encounter performers who do not wish to raise a problem with a director of any kind. Maybe for fear of looking bad or, maybe, deep down they know that what they are doing is wrong. For example, asking another performer to change something without consulting the director or hoping that the other performer will raise the issue for them. Watch out! If it’s not your problem, let them do that themselves! As far as I’m concerned, everyone is equal in importance of their role in a production of any kind. If you don’t have the players, what is the point of a director of any kind? What is best working practise with other performers? Well, it’s pretty much what I’ve already said. Your role as a performer is to learn your lines, your music, know your staging and play the part. That’s it; the rest is likely to be someone else’s role. What happens when the roles are blurred? Now, I’ve yet to do a production where all these roles are so well-defined. Quite often, people cross into more than 1 role. What I’ve outlined here are some of the main roles which are in any production because they need to be. After that, for all sorts of reasons – budget, variety of abilities, etc. people can double up on what they do. You can find a costume mistress who is a fellow performer or even, a director who is a fellow performer, so what do you do? Still the same things apply. You just take on board that sometimes you are talking to the director and sometimes talking with a performer. This may sound a bit schizophrenic, but really, we do this all the time. We’re just not always aware of it. Like in life, you are someone’s partner or friend or dish washer, whatever?! You don’t act or talk consciously in a way that seems odd in these situations. But you are not likely to talk to your lover the same way you talk to your friend or your boss the day job! I think in the performing arts, for some reason, we can lose track of this because we all want to do well and get along, so we can forget that there is a structure and to use that structure as much as possible, especially when there is conflict or differing opinions or a question. What do you do when the directors don’t want to direct? Now this happens a lot, especially on low-budget work! So what happens when the director says, “Just work it out for yourselves.”, personally, I would push the point a bit and say, it’s not my role to direct and I may need some help on this, as I can’t see the stage like a director can. 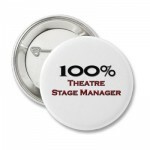 If that doesn’t work, then you have a few options, you can go to another director, say the music director if there is one or the stage manager or assistant director of any kind to see if they will help. If that fails, then, yes, you can try to work it out between you, if it’s serious enough, for example, someone might get hurt if you don’t find a solution otherwise you can accept that if it’s not a big deal to the director, it’s not likely a big deal at all! 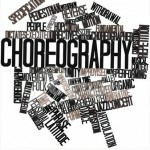 When can you play and when do you absolutely need to be directed or choreographed. Today, there is this huge movement to ad lib or improvising the work – I have my options on this, but I may save this for another day, as really, I don’t see the point of a director or writer, if you are going to let your performers do all the work for you! Still, things are what they are and, of course, you need to see what the performers bring to the performance, before you go in and put your stamp on as a good director or guide the actor towards the ‘concept’ you may have for the piece. But there are 2 definite times when this ‘feeling around’ doesn’t work. It involves physical violence and sexual scenes. A young boy was injured in a production because he was hit by a sword. It’s NEVER OUR JOB TO PUT OUR LIVES OR BODIES AT RISK. So, these scenes need to be choreographed and then practiced before every show, with all members involved, so that such an accident can be avoided – you never improvise a scene of violence. To show another example of this: I went for a student film audition, they asked me to improvise violence for them, it was a drunken fight, well, I just said no. I am not going to improv a violent event because I don’t want to accidentally be punched in the face by another person by accident. It didn’t leave me, the performer feeling confident in the directors ability to direct either, if they didn’t know this basic understanding of how to deal with this situation. I wasn’t too keen to work with them, needless to say, I didn’t do the piece, instead I gave the director an easy exit and wished them the best with their project. So I’m not against exploring what can come out of performers and scripts/scores, but not at the cost of the performers physical wellbeing or their mental health. This leads to the mental. Sexual scenes must be choreographed as well, this is a very vulnerable or delicate situation at the best of times, let alone when you have a room full of people watching you. My example for this 1 is personal, I had a performer on stage, during a funeral scene try to grab my breast. It was inappropriate, not directed to do so and didn’t make any sense? I managed to get out of it OK, I was quite young at the time, so, sadly, didn’t take it further because, no one had told me how to deal with that situation well, so I’m trying to break that by telling you now. Performers need to feel safe and confident in both these situations, if you don’t, then something needs to be done either through the director, through your union or you always have the right to leave a production. It’s never worth risking your physical or mental wellbeing, no matter how much a director says it is or how useful they maybe to your career – black mail is never an acceptable option. Hopefully with your director, it works because you have agreed exactly what is going to happen and when and, in both the violent or sexual situation, you can let the passion fly, but know you will not be hurt. This may seem stilted at first, but believe me, that’s better than not knowing or agreeing anything and hoping for the best, that’s when problems start. Sadly, this is something I feel needs to be talked about more with performers, stage crew and/or instrumentalists. Really, every institution which teaches any form of performing, needs to add this to their curriculum, as I feel it is not made clear enough on how to deal with these tough and blurred situations in the performing world. So, really, this goes out to performers and directors, please know your role and make the play safe and fun! All this applies to film, TV or any visual media as well. This isn’t just for stage, it’s just in film and TV there are even more roles because there are so many people involved in the creation of a media based event. I’ve just broken this down to its simplest and most essential roles, but the same principles apply to all roles in any production or type of production.